Horse Vision is excited to announce the introduction of a new workshop in 2017. 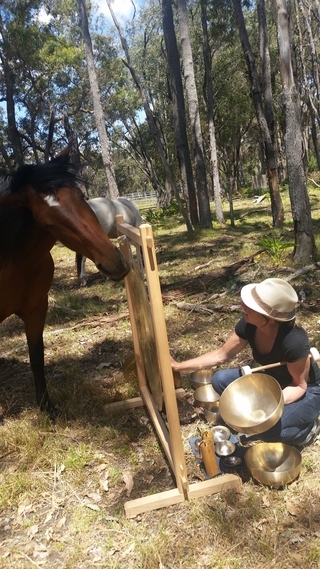 This workshop brings together the horses with Sound and Emmett therapies to reconnect the mind, body and spirit and heighten your awareness. Open pathways for participants to develop personal growth and well being which may lead to them becoming more self – motivated and confident. Enables healing for body and mind and relaxation. Participants uncover their hidden strengths and resilience. The morning will be tailored to meet the needs of the group. Leave preconceived notions behind, expect the unexpected and most of all have fun. Cost : $150 per person with a light luncheon is included. Participants :Min 4 to Max of 12. Open to 15 years and over.